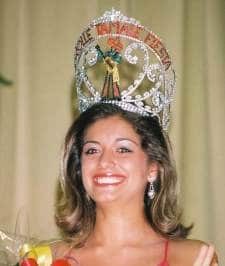 On Saturday October 29 th 2007 Brandi Cholei Stout of Zwolle was crowned the 2007 Zwolle Tamale Festival Queen at St Josephs Hall. It was with extreme pleasure that she accepted all the responsibilities that came along with the title. Brandi is the eighteen year old daughter of Eric Stout and Glenda Etheridge. She resides in Zwolle with her mother and Step-father Joseph Etheridge. She has two younger sisters, Marjana and Payton Etheridge, who both attend Converse High School. Her maternal grandparents are the late Paul and Annette Dowdy. Her paternal grandparents are the late Jack Stout and Stella Stout of Salida. She is the Great granddaughter of Ethel Laroux and the late Walter Laroux of Zwolle. Her Godparents are Ronnie and Sue Remedies. Brandi is a 2007 graduate of the Louisiana School for Math, Science, and the Arts. While their she was very active in Theatre Collective, Student Activities Board, and Tutoring her peers. She also participated in her schools Reparatory group that produced plays twice a year. Brandi was an Ambassador for the school which allowed her to meet the representatives of many colleges and help all the incoming juniors with their transition to LSMSA. Before leaving for Louisiana School Brandi attended Converse High School were she was very active in cheerleading. She was also a member of Fellowship of Christian Athletes, BETA, and Quiz Bowl. Brandi currently attends the University of Louisiana at Monroe where she is majoring in pre-pharmacy. She is also a new member of the Phi Mu Fraternity on her campus and an active member of the spirit group Maroon Platoon. She is currently a freshmen and plans to apply to the College of Pharmacy in the year 2009. Brandi is a member of St. Joseph’s Catholic Church in Zwolle, Louisiana. This is where Brandi made her first communion, was Confirmed, participated in the youth choir, volunteered at Vacation Bible School, was a member of TECH, and one day in the far, far future she plans to get married in St. Josephs prayer garden. Brandi enjoys shopping, hunting with her father and best friends Matt and Joel, dancing, reading by the pool, cooking, going to the movies, going to Phi Mu socials, and most importantly spending quality time with family and friends. Brandi would like to thank her step-fathers company, J & G Contractors, for sponsoring her in the Tamale Fiesta Pageant. She would also like to thank everyone who helped her prepare for the pageant. Her Phi Mu sisters for helping her go over her walk and her interview questions, all the people who helped her get ready backstage, and most importantly her mother for helping her to deal with all the stress that comes along with doing a pageant. Brandi is ecstatic about being able to represent the Tamale Festival as their queen for the next year. 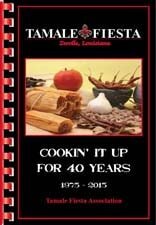 It is an honor that she has hoped for, for some time now and she promises to do her best to represent the 32 nd Annual Zwolle Tamale Festival as the 2007 Zwolle Tamale Queen.